The La Masia - Oriol Tort Education Center is the FC Barcelona athletes’ residence, ​​where young football, basketball, handball, roller hockey, and futsal players — currently 76 in total — are welcomed, especially those who are away from their families, having left their comfort zone to live in a residential environment. The professionals at the La Masia - Oriol Tort Education Center share a holistic vision of education, which implies the total, multi-dimensional — intellectual, emotional, and social — education of its residents in the different areas in which they participate: the residence, the school, the team, and the community. The residence has an educational and management team that helps residents to combine their sports training with vocational and human education, attending to and responding to the needs presented by athletes. The educational principles underpinning our principles are: education for responsibility and personal independence, resident participation, education in values, attitudes and rules, and integration into one’s surroundings. The method is based around the individual tutoring of each resident, education through everyday life, and interdisciplinary work. 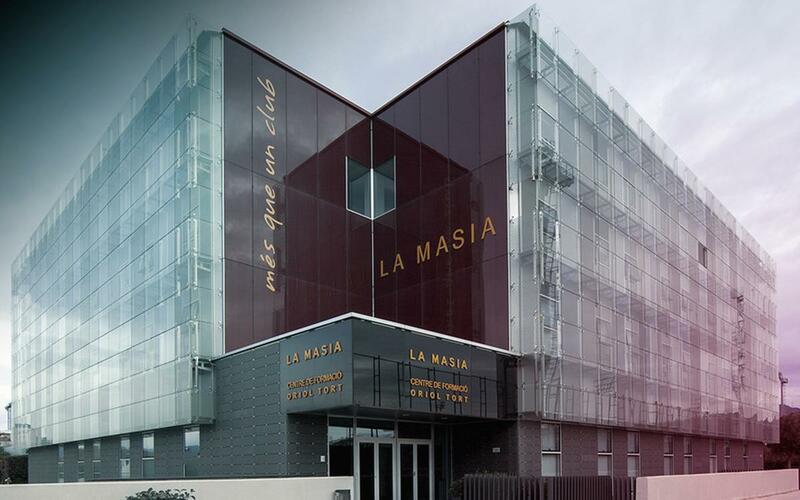 La Masia has educational staff 24 hours a day, 365 days a year. Always having an educational reference point at La Masia is a demonstration of our commitment to supervising and accompanying the children and adolescents who live there. Tutoring means personalized attention, which makes it possible for residents to actively participate in their own educational processes. Once a year, the residents of La Masia participate in an emotional education day, to work on areas like trust, cohesiveness, and responsibility, in order to feel united, as if they were a family. The La Masia Residence also has an internal training curriculum consisting of four areas: personal development, risk prevention in sports, sports and health, and cultural education.